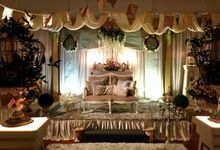 The sooner the better, but the most ideal time for client to contact us would be 1 year to 6 months prior to the wedding. $500/- deposit after confirmation of contract, 50% during selection of outfits usually 3 moths prior to the wedding and balance 5o% during final fittings. 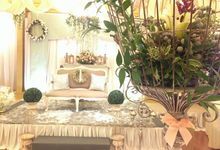 Versari Ade offer full range of bridal services and design from traditional wedding packages to couture creation, make up and hair styling . Most well known and sought after for their Malay traditional songket kebaya. Versari Ade team offers professional assistance every step of the way. Our business started way back on 1st January 1995. 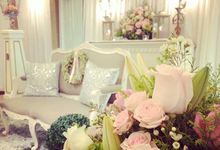 Versari Ade has grew to its current status as highly prestigious luxury "Malay Bridal "brand in Singapore.